Unique design featuring round or oval cut-outs. 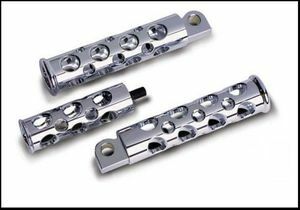 Footpegs Material are made of Billet aluminum, CNC machined Finish. Application Fits All Harley-Davidson® and custom models equipped with folding footpegs.